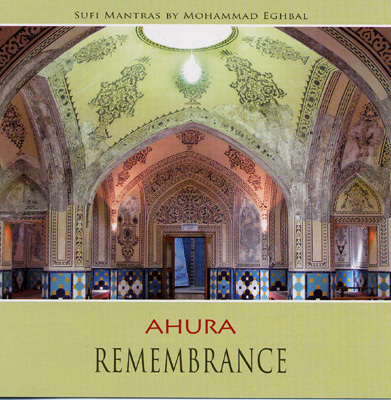 Mohammad Eghbal gives us with "Remembrance" Memory of the forces of the soul. He gives his heartfelt experience of Sufi mantras his own compositions on through his intuitive musicality, beyond formal limits to us. The sacred Sufi mantras, traditionally the 99 holy names of Allah, Mohammad Eghbal accompany all his life. Their meanings vary according to personal development and understanding. They work by their sound always on the ocean of the unconscious, in which all the solutions and options are hidden. As with all other mantras ways can hearing and repeating the sacred syllables help to find inner happiness and presence.